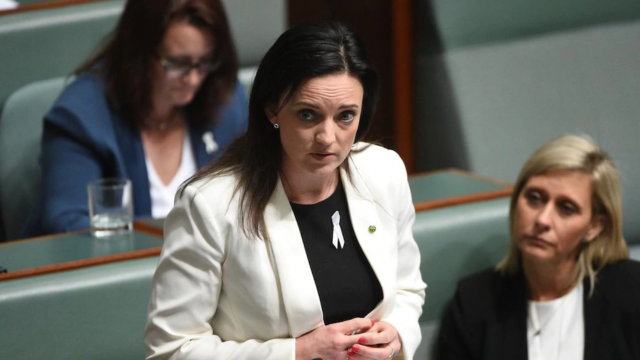 Malcolm Turnbull is breathing political fire about the Emma Husar affair. But one thing he hasn’t done so far is say there should be a byelection in the Labor MP’s ultra-marginal New South Wales seat of Lindsay. Of course the government couldn’t force a byelection even if it wanted one, but after the fallout from its failure to wrest a couple of potentially vulnerable seats from Labor on Super Saturday, it has had its fill of such contests for now. A byelection is the last thing the NSW Liberal party would welcome, on top of the state one it has in Wagga Wagga, after its MP resigned in a corruption scandal, and an expensive state election early next year. If any Liberal call does come for Husar to quit parliament immediately – rather than at the election, as she’s announced – rest assured it would be made on the expectation that she wouldn’t do so. The bad publicity around Husar, accused of bullying and misusing her staff and much else (all of which she denies) and the associated Labor party infighting, should help the Liberals in Lindsay, other things being equal. But that’s for later, at the general election. Meanwhile Turnbull is weaving the extraordinary saga of this first term MP into the government’s familiar narrative about Bill Shorten. That the opposition leader doesn’t tell the truth. And that his workers-friend credentials are phoney. But the government declares he must have been aware much earlier – on the grounds that everyone else seems to have known. This week one former Husar staffer alleged disgruntled staff had been talking to Shorten’s office for months. Shorten responded that a check had been made of his current and former staff, who had said they hadn’t been told. On the subject of “what he knew and when” and rumours, consider some parallels with Malcolm Turnbull and the Barnaby Joyce baby rumour. An exuberant Turnbull celebrated with Joyce on byelection night, hailing “getting the band back together.” But after the scandal burst into the media in the new year, he publicly excoriated Joyce, deploring ministers having sexual relationships with staff and announcing the so-called bonking ban. The obvious question was when Turnbull had first known about Joyce’s relationship. On that happy December night, was he aware of the rumours that Joyce says many had already heard? Turnbull told 3AW in February, shortly before Joyce quit as Nationals leader and deputy prime minister: “Barnaby at no time said to me that he was in a sexual relationship with this woman.” He said he could not recall when he first heard a rumour – “but probably… about the same time, possibly later than others.” As for asking Joyce, he would not be drawn on private discussions. Turnbull is weaving the extraordinary saga of this MP into the familiar narrative that the opposition leader doesn’t tell the truth, that his workers-friend credentials are phoney. Whether the government can make political mileage with its claim that Shorten knew about Husar’s behaviour earlier than he admits is yet to be seen. While voters don’t have a high opinion of Shorten, they also have such low regard for politicians generally that they are more likely than not to assume many of them are lying much of the time. Labor needed Husar to fall on her sword before parliament resumes next week. She did so ahead of the release of the findings of the NSW Labor-commissioned inquiry into her behaviour, expected imminently. There was no way she was going to be retained as the candidate, but the timing limits the damage. Still, within Labor there is some nervousness about what other fallout there might be, and this goes beyond the government’s attacks. Having an angry and distressed Husar within Labor ranks will be uncomfortable. And will the disgruntled former staffers be satisfied that the matter has been handled adequately? The government is encouraging them to take their complaints further, as well as calling on Shorten to refer the material for independent scrutiny. As always happens with scandals, they’ve been calls for changes to the system – in this case, more rules around treatment of staff. Is this really necessary? MPs’ offices are hothouses of pressure and tension, and staff often have testing bosses, very challenging jobs and punishing hours. But bad circumstances in one office don’t necessarily mean the whole system needs overall. Anyway, the fall of Husar will send a powerful message to other MPs on being careful about how their offices run. Unfortunately, however, the sorry tale has also sent another message. That one is to the voters about their politicians – and, as so often, it’s a negative one.